This weekend my daughter got married. Since both she and her fiance are in the military, they can get married on a military base. It turned out to be a nice option, since there is Seal Beach Naval Shipyard, which has a private beachfront. 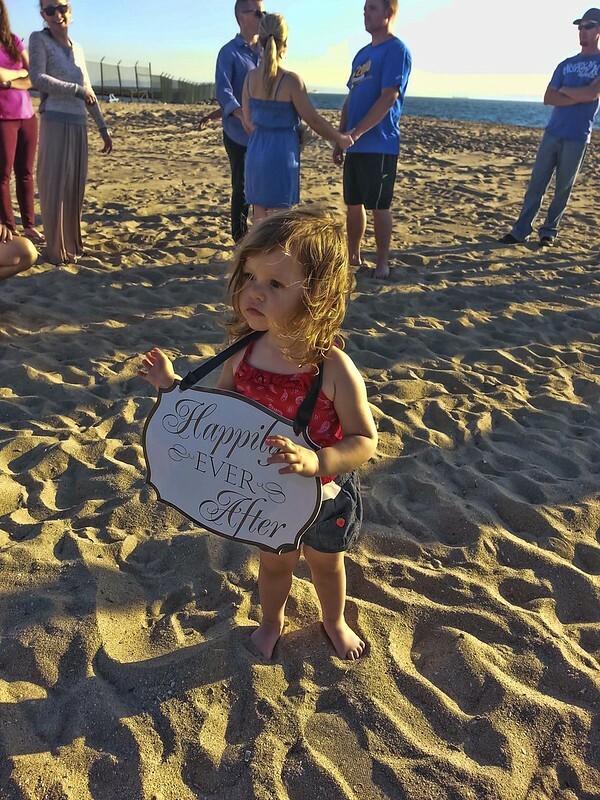 The night of the wedding rehearsal, our flower girl was adorable, practicing her part. 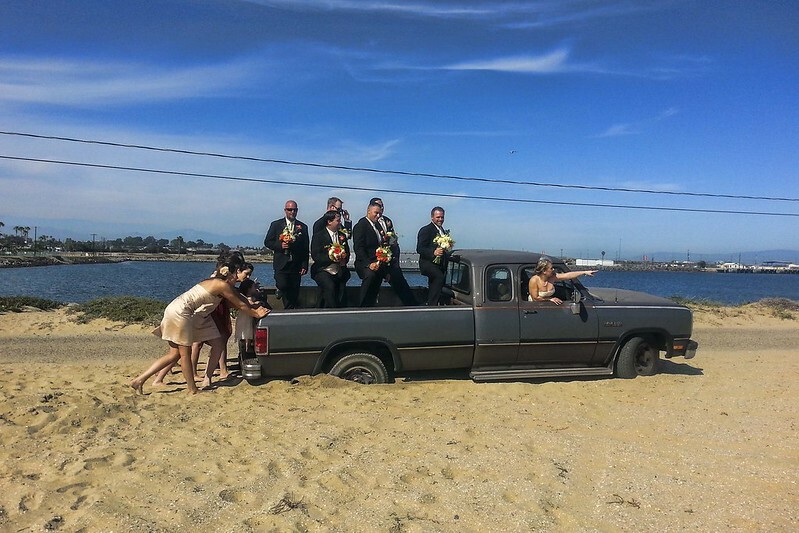 On the wedding day, one of the guys drove too far into the sand and was stuck. It made for a fun photo op for the wedding party!